The most impressionable tool of your business. 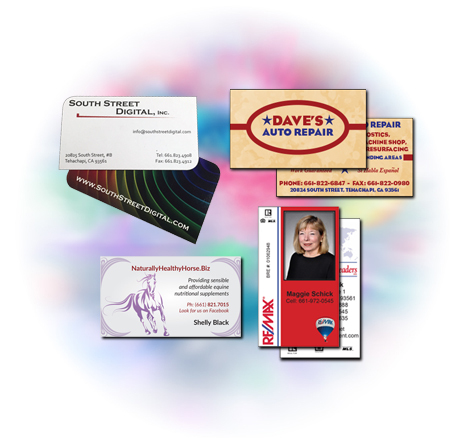 Your business card is often the first contact a potential customer has with your business. We offer full color business cards in a variety of paper weights, sizes and finishes. We also provide artwork services to help you achieve the perfect design for your business. Custom sizes to help you get noticed.